This year, RJD hosted a jam site for Global Game Jam 2019! Global Game Jam is the largest game jam in the world, and we’ve hosted a site for several years. This years site has many active participants with many active teams, and even though the weather was terrible (temperatures dipped to the single digits this week) and there was a flu sweeping the area (several people had to sit out this year for illness) we’re still impressed with the work our local teams did this year. 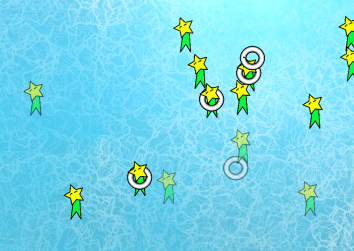 Swim Lessons is a short arcade game about saving struggling swimmers by throwing them life preservers. When a struggling swimmer gets a flotation device, they’ll swim to the edge of the screen; hooray, they’re saved! A struggling swimmer will shake and flash; they’ll be lost if you don’t get to them in time. Controls: click the mouse to deploy a life preserver under the cursor. There’s a small delay before the preserver falls from the sky. This game is a bit unfinished. The art is placeholder and it doesn’t have an end. It has some bugs. I plan to spend some time finishing it in the next week or two and will make a post-jam release on itch.io (https://mildmojo.itch.io/). Life can be difficult and sometimes all we need to do is keep moving forward while collecting any goodness we can find. 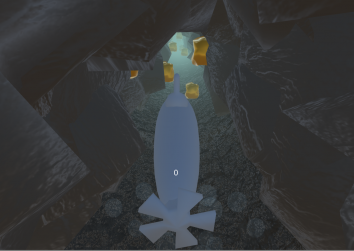 Use WASD to manuever through the cave to collect the golden nuggets. If you hit the rocks to many times, you restart and try again. The game is supposed to show that home can be hard at times but there’s goodness everywhere. 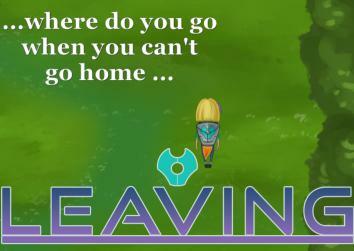 Journey through Bee’s dreams and find your way home while also dealing with enemies. It’s the year 2200, and the real estate market is booming! Customers are flooding to your door, and you need to find them their perfect new home… IN SPACE! 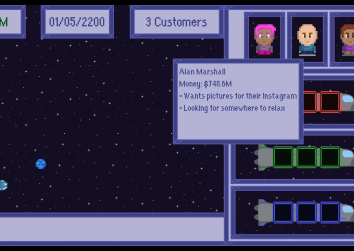 Customers will arrive, mouse over them to see their budget and preferences, then drag and drop them onto one of your 3 spaceships. Mouse over planets to get information on them, and once you’ve found the perfect match, send that rocket to the new planet. The more the customer likes their new home, the more money you get! Now get out there, and start selling the newest real estate out there! My dream is to build a custom tiny home and travel around the country with my fiance. During my research on the subject, I’ve found there are pro’s and con’s to it. 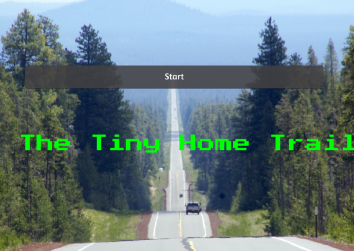 I thought it would be interesting to take the idea of Oregon Trail and apply a modern day twist with the tiny home. This is a pretty simple management game, with some silliness. The goal is to travel to as many places as possible in a year without running out of money or losing your mind. Players can pick from 3 professions that actually do change how the game is played. It’s definitely harder to be an artist. As well as several other games that did not make it to the website. We’d like to thank all of our participating teams this year and our location sponsor BCTC who let us use the BCTC Newtown Pike Campus this year for the global game jam! Thank you to everyone and see you next year.